New York City is one of the toughest places to be a kid, and when riding the subway, politeness and following rules sometimes slide by the wayside. 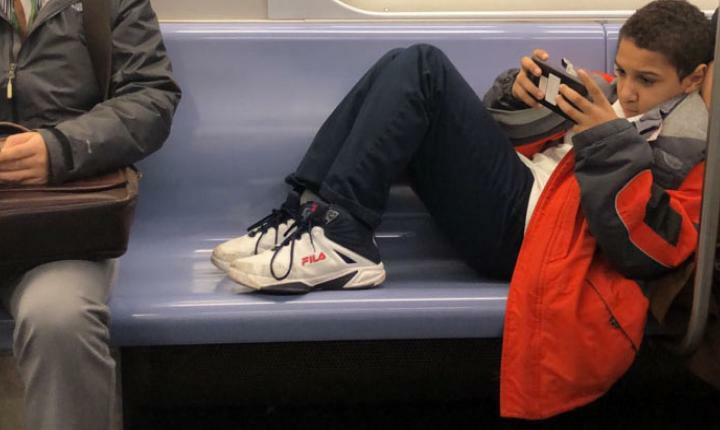 Despite the crackdown on “manspreading” on NYC trains, even kids pick up bad habits. After a youngster decided to stretch out on a train car, one commuter gave the kid a lesson straight from the school of hard knocks. Getting lucky enough to grab a seat on the subway in “The Big Apple” can be a tough feat to master. Dealing with weird smells, subway riders bringing their pets on board, and a lack of personal space on the transit system is just part of the NYC commuter experience. 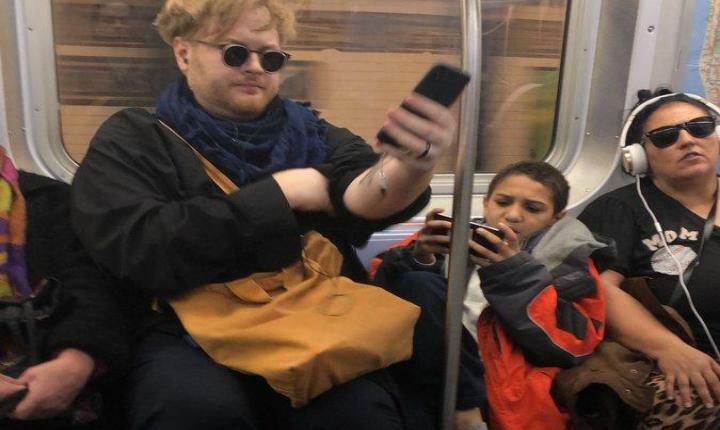 A young man was reclining against a woman wearing sunglasses and headphones, while glued to his smartphone on a Manhattan-bound L train. Since both were focused on tuning out the other passengers, neither of the two seemed to notice an “Elton John doppelganger” in search of a place to sit. Believe it or not, many NYC subway commuters will move so a passenger can sit, as long as they don’t seem to loony or smell rank. This kid apparently needed his personal space and was a child prodigy of the “manspreading” school of thought. One hefty, bearded, sunglass-wearing commuter was prepared to fight for his right to sit since this kid wasn’t going to move. This everyday hero did what any sensible New Yorker would do, and sat on the kid’s legs. Smartphones readily captured the youth’s priceless expression. Young people are tired of getting a bad rep for being entitled, narcissistic, and overly dependent on their smartphones. And yes, a lack of proper parenting is to blame for much of kid’s bad behavior. Twitter users quickly praised the metro riding hero and shared the footage of this incident over 47,000 times. 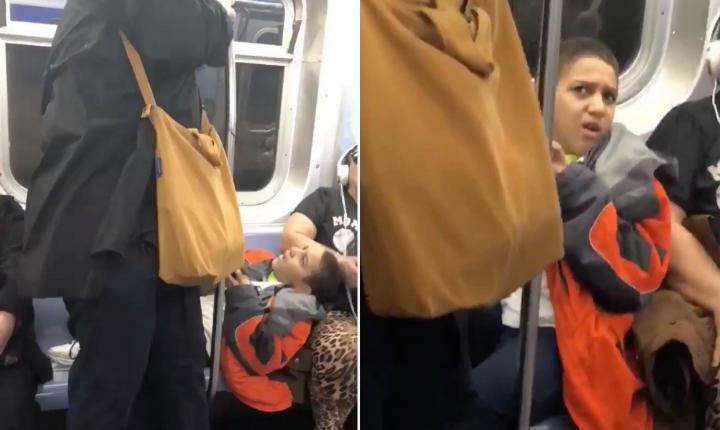 Twitter user Johnny-3 @luckyturner responded, “Not all heroes wear capes.” Another Twitter user, Michelle Halac @famousactresss chimed in, “Subway etiquette is best taught nonverbally with force.” Considering the epidemic of rude riders on the subway, the Internet laid the smackdown on this nonplussed kid and his apathetic mom.